This morning, Climate Justice Alliance issued this statement to the New Consensus and its partners involved in moving forward the Green New Deal. CJA Steering Committee representatives, members, Indigenous and Environmental Justice allies demand that historic movement principles inform the policy development strategy for the Green New Deal. Read the full statement here or watch Miya Yoshitani, Executive Director of Asian Pacific Environmental Network (APEN), and longtime movement ally, John Washington, from Push Buffalo read it and provide recommendations to the agenda during the New Consensus meeting. 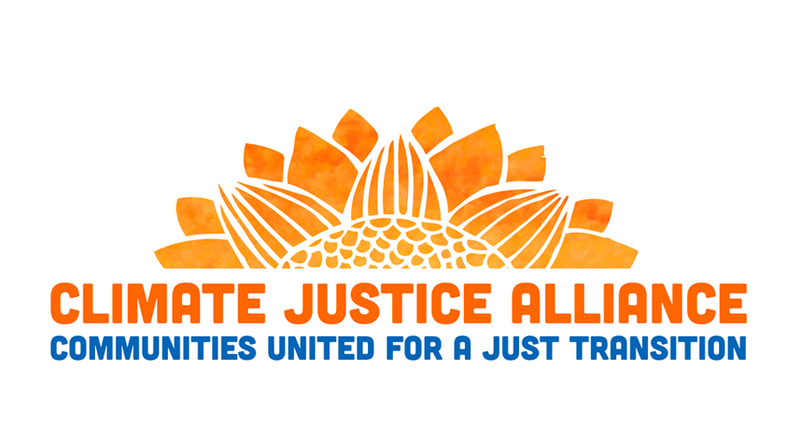 With tremendous gratitude to the Climate Justice Alliance (CJA) member groups California Environmental Justice Alliance, the Gulf Coast Center for Law and Policy, Kentuckians for the CommonWealth, the Labor Network for Sustainability, as well as powerful frontline allies such as the NDN Collective, Native Organizers Alliance, WeAct, El Puente Climate Action Network, and Peoples Action who supported the statement as it was presented.